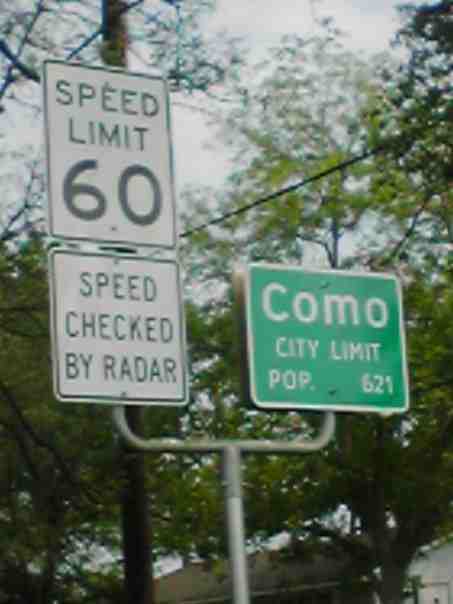 Home » Headlines » Como Community Easter Bash Now Set for April 20! 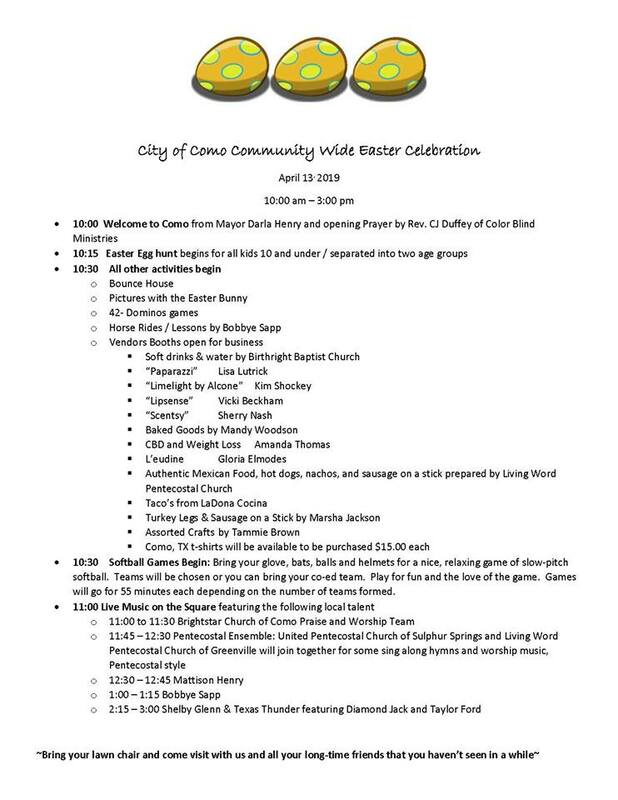 According to Mayor Darla Henry, the City of Como’s Community Easter Bash set for Saturday April 13 is now re-scheduled for Saturday April 20. It will be held in and around the Como City Hall and Ballfields area. Food, entertainment, games and vendors are planned, and the Easter Egg hunts will also be held, with a start time of 10am. The Bash is also an opportunity to get your Como, Texas t-shirts which sport a logo of “My City, My Home, Como, Texas” on the front.